I have long back skipped using moisturiser due to the fear of getting acne (silly me 😛). But after realising my mistake, I never do so. 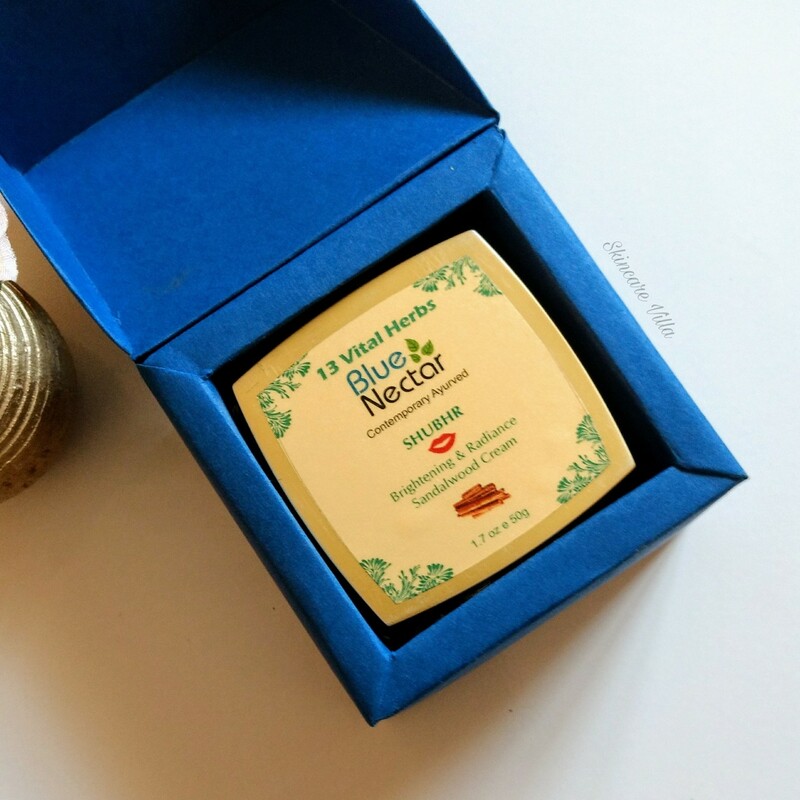 Recently I received the Blue Nectar products. I have read some rave reviews of the Blue Nectar face wash. I was excited to try this cream from them. Let's hop on to the review to see if it lives upto the claims or not. 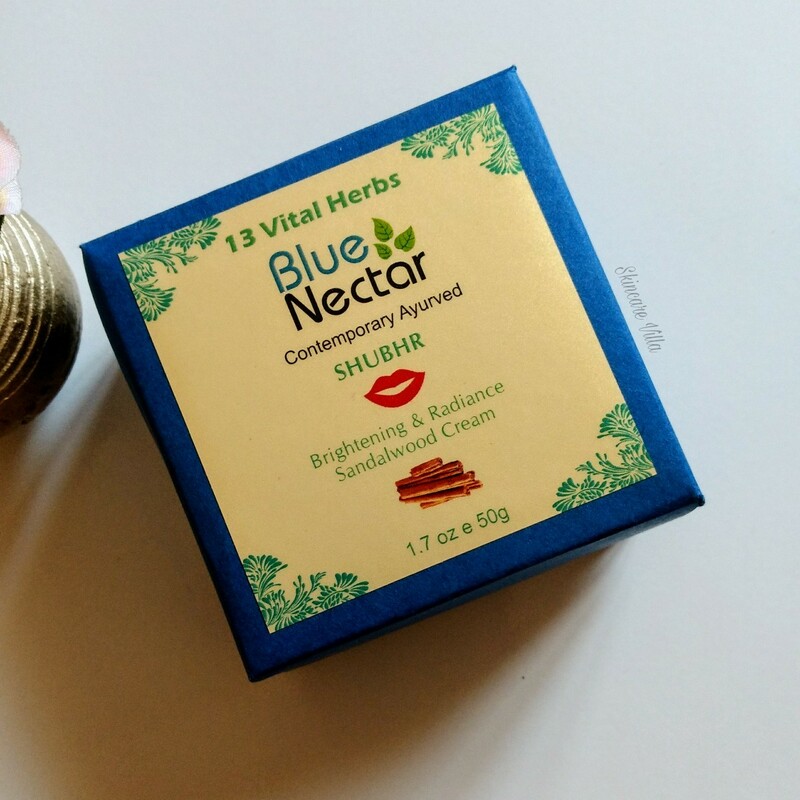 Brand claims - Blue Nectar Shubhr Ayurvedic Sandalwood Brightening and Radiance Cream is a powerful Ayurveda based formula created from the finest of Sandalwood. Rich Sandalwood along with 13 other Vital herbs helps to lighten and brighten the Uneven Skin, Reduce Dark Circles and Pigmentation Marks. Apply the cream after cleaning and toning. Directions for usage - Take a small quantity of cream and apply on face and neck area with upward strokes for 1-2 minutes. Key Ingredients - Aloevera, Mulethi, Yashad Bahsma, Manjistha, Haldi, Glycerin, Sandalwood Oil, Ashwagandha, Kewra Flower, Khumani Oil, Til Oil, Coconut Oil, Apple Juice. The product is packed in a square, plastic packaging with golden colour lid and jar. I find an uncanny similarity in the packaging with Votre Advanced Multi Vitamin Night Crème. The jar isn't heavy though, as it seems. The jar also has an inner lid to prevent product spillage. The jar is safe enough to carry during travelling, but due caution is to be taken of not dropping the jar. Coming to the consistency of the cream, it is of medium consistency, neither being too thick nor too runny. The cream spreads easily and gets absorbed in the skin absolutely in no time. It instantly evens the skin tone by plumping up the skin with it's moisture content. The cream doesn't leave behind a film or any creamy feeling either. The cream is cream coloured with a slightest hint of orange colour. The fragrance is mesmerizing since it contains Sandalwood oil. The fragrance lingers for around 1-2 hours after which it fades away. If I use the cream during day time, the fragrance doesn't bother me ( I have super sensitive nose 😭). If I use the cream at night time, instead of sleeping peacefully, I tend to sniff the fragrance endlessly and tend to lose my sleep. 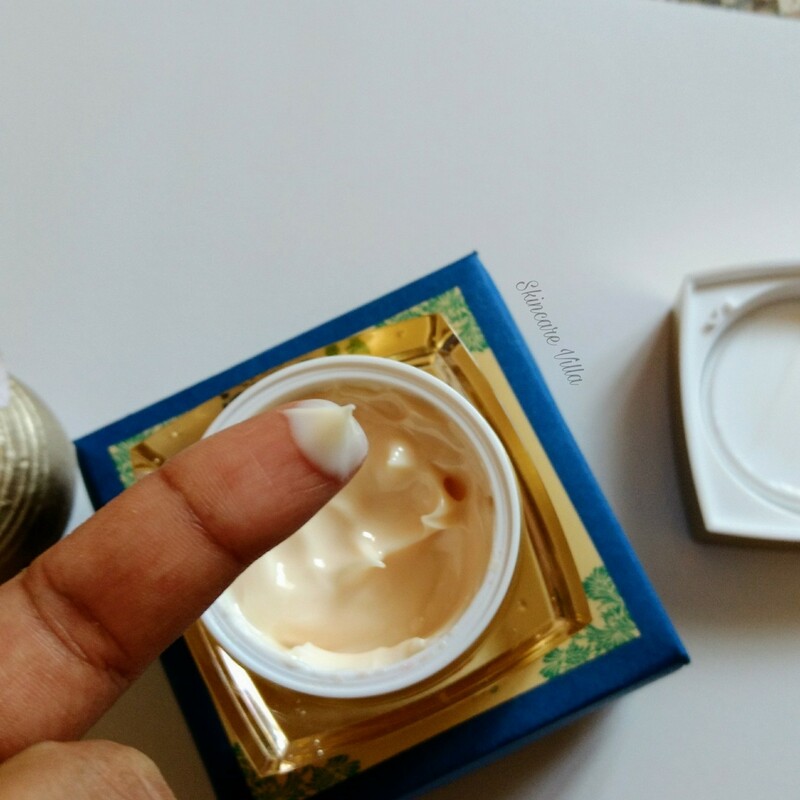 I have regularly used the cream for over 3 weeks (during day time and some days at night time). However with the night time experience, I make it a point to use it during day time only. Although it is advisable to use at any time or both day and night time. Now the claims, the cream has given me a glowing skin with regular usage of 2 and half weeks. I do find my skin a bit brightened (don't confuse this with fairness). The skin feels instantly refreshed and smooth. It provides sufficient moisturization to the skin without causing any white heads. If you have oily skin, you can relate to what I am saying. Most of the creams I have used cause white heads with regular usage. But this one is an exception. 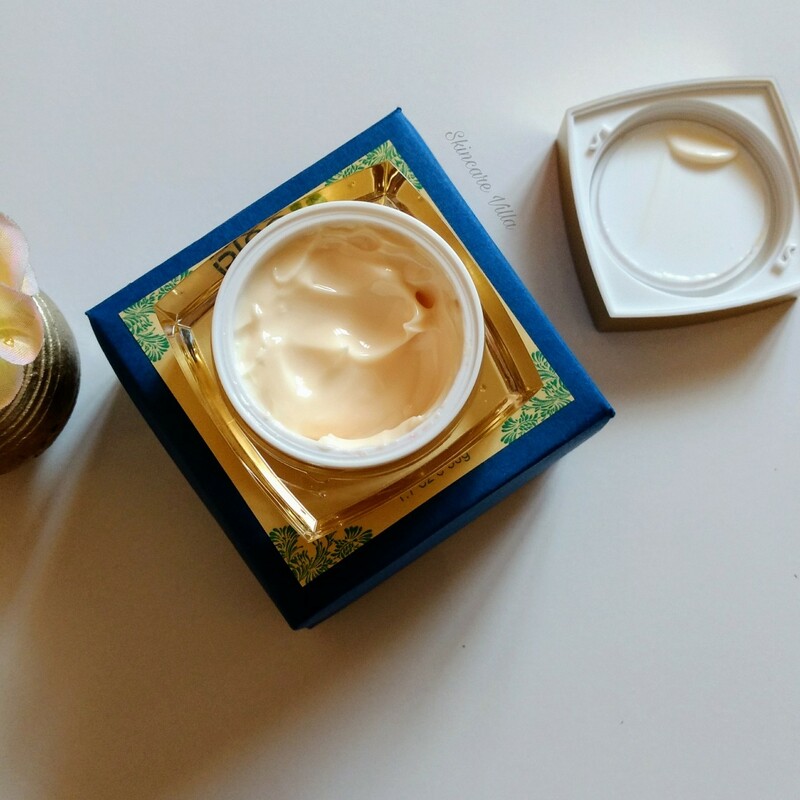 I would specially like to mention here that the cream has a potent formula of staying true to it's claims while not making the skin oily or causing white heads. 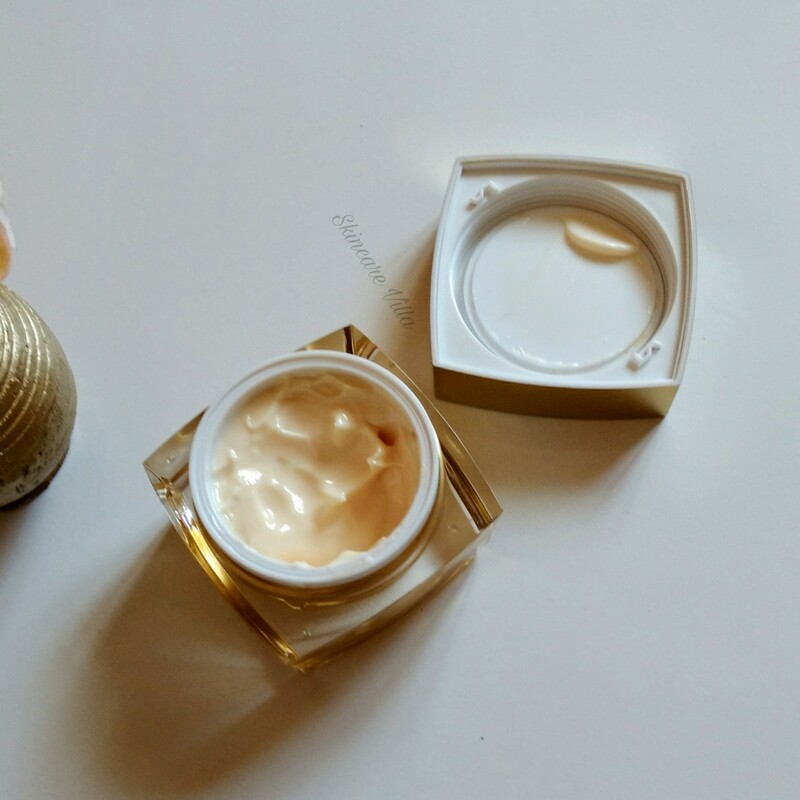 However the cream would suit only oily to normal skin beauties. But the cream doesn't claim to suit dry skinned beauties so that's not a problem at all. However having a sensitive nose I couldn't use the cream at night. Since this is a personal preference it doesn't mean you will mind it, many people enjoy fragrance of oils in products. The product lives upto the claims and helps in giving a glowing skin with regular usage. The high price point of the product can be attributed to the Sandalwood oil, which itself is costly. However good the product is, I wouldn't tag it as a must buy, but it's definitely recommended if you are into luxury skincare products.